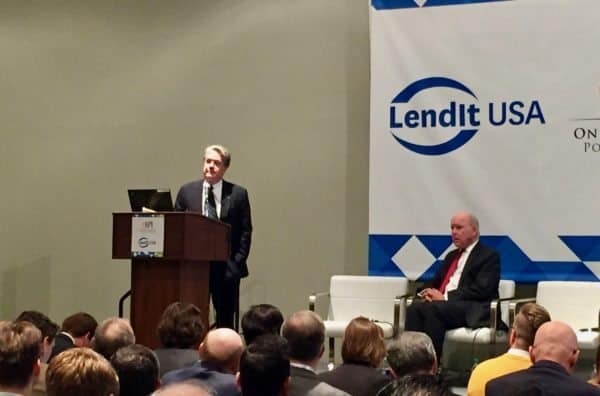 Comptroller of the Currency Thomas J. Curry delivered a speech yesterday (March 6, 2017) at the annual LendIt conference where he discussed his recent proposal for a Fintech Charter. 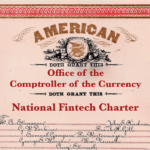 The OCC Fintech Charter, as it is described, is designed to bring innovative financial firms under regulation while providing a vehicle for these firms to operate nationally thus preempting state registration. While specific details remain outstanding, Curry said an update with be forthcoming soon. Banking, as Curry defined it, does not necessarily mean holding deposits. 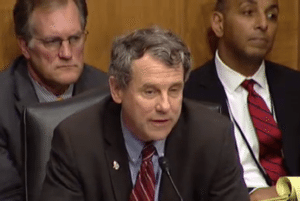 While some industry followers viewed the Senatorial comment as a simple push to protect big banks from additional competition, Curry was careful to focus on the importance of supporting responsible innovation while promoting inclusion and access for the under-banked. Applying for a state license has become a significant barrier to entry for firms that seek to provide better and less-costly financial services. In an odd-twist of fate, regulation has become a significant moat protecting incumbents from entrepreneurial creativity. Supporting responsible innovation within the federal banking system. 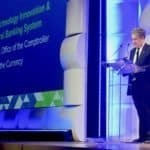 The OCC will soon update their Licensing Manual that is expected to clarify their approach to evaluating applications from Fintech companies. Obviously, this will help Fintech firms determine as to whether or not a Fintech Charter is in their best interest. 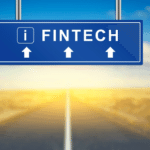 It will also help them determine whether a Fintech charter is simply additional cost and onerous regulation rather than a streamlining vehicle to provide services without having to apply to operate at the state level. Curry’s speech is republished below. Good morning, and thank you for the kind introduction. It’s an honor to be here in New York among so many innovators dedicated to improving the way credit is provided to borrowers and managed by lenders. Borrowing and lending are at the heart of banking and our economic system, and the financial technology industry has flourished by finding new ways to facilitate these transactions. At the Office of the Comptroller of the Currency (OCC), we are responsible for supervising 1,400 national banks and federal savings associations that account for two-thirds of the assets held by U.S. banks—more than $11 trillion. These banks also hold almost two- thirds of all credit card balances in the country. Banking will continue to be a major engine of the nation’s economy for the foreseeable future. 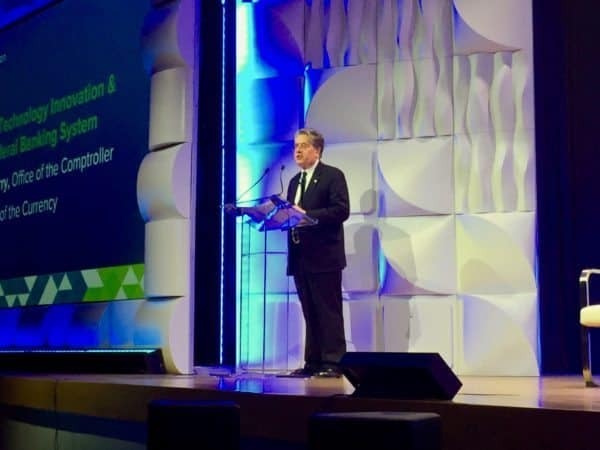 At the OCC, we fully recognize that the opportunities for consumers of financial services are changing for the better, and you are a part of that change. That’s not to say that I don’t see risks as a regulator, I do. 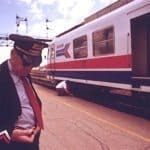 But, the promise of responsible innovation can outweigh that downside risk and better serve the needs of consumers, businesses, and communities nationwide. 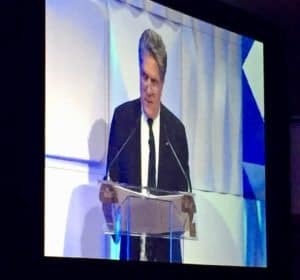 In the brief time we have today, I want to talk about that potential I see for your industry and banking, and how the OCC is supporting responsible innovation. I know the OCC is not a household name, and many of you may not be familiar with what we do. The core of our mission is to ensure the safety and soundness of the federal banking system and fair access and equal treatment for customers of that system. Safety and soundness and consumer protection go hand in hand. 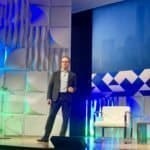 It is that fact that led me to focus on responsible innovation, when we observed the exciting changes accelerating in the financial services marketplace two years ago. Already, innovative products and services give consumers greater control over their financial lives. Consumers have been empowered with more responsive and automated tools that support payments, promote savings, smooth income volatility, and provide personalized credit solutions that satisfy their lifestyle and needs. Everyday more people are satisfying their credit needs through the alternatives provided by companies in this room. It’s likely that we have just scratched the surface, and the future holds further promise because we are at the beginning of this innovation cycle. Particularly encouraging is the power of companies like yours to expand financial inclusion. Financial inclusion lifts people up. 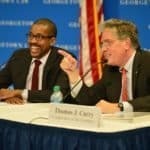 It brings those who are unbanked and underbanked into the fold, and too many of those individuals are concentrated in low- and moderate-income communities that are often the most vulnerable to financial difficulty and predatory practices. What’s encouraging about innovative financial technology is that there’s good data from the FDIC and others that suggest these communities that have been left out of the traditional system have higher adoption rates for new services that capitalize on emerging and mobile technologies. and mastery of their financial lives make better customers and contribute to the prosperity of communities and even future generations. Your companies, your ideas, have fueled healthy competition to modernize and improve how the nation’s financial services needs are met. Such competition has long-term positive effects for the banking industry and for the consumers, businesses, and communities that it serves. That’s the potential I see, and that is what makes me so engaged in financial innovation. But, to live up to that potential, innovators must demonstrate real responsibility—whether working within or outside the federal banking system. Last year, we started an international conversation by offering one definition for responsible innovation. Our definition reserves the label of “responsible” for innovation that meets the evolving needs of consumers, businesses, and communities in a manner consistent with sound risk management and is aligned with the company’s overall business strategy. Implicit in the definition are rigorous controls and governance to ensure you comply with applicable laws and regulations, provide fair access to your services, and treat your customers fairly. That’s critical for companies large and small, and I know no one in this room is thinking small. Building compliance and risk management into a company’s DNA, as early as possible in the evolution of your business, helps you succeed and avoid the risks of highly visible missteps. Because confidence is such an important part of success in the financial industry, any misstep takes on added significance. 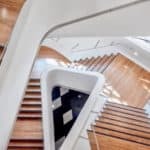 We see too many stories of bright executives and promising companies, with industry-disrupting ideas, failing to establish strong risk cultures and effective compliance programs. For that reason, I urge you, as leaders and visionaries, to develop and nurture a company culture of responsibility that insists on consumer protections and sound controls and adopts a long-term strategy for growth. It may be the best investment in your companies that you ever make. 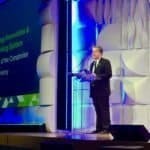 Because financial services innovation holds such potential, it has been my priority to make certain that institutions within the federal banking system have a regulatory framework that is receptive to responsible innovation and supervision that supports it. The OCC has conducted extensive research and discussions with technology companies, banks, community and consumer groups, academics, and other regulators. We articulated clear principles to guide the development of a framework for responsible innovation, sought public comment, and held a public forum in June to discuss the issues surrounding responsible innovation. In October, I announced the agency’s framework for responsible innovation and established the OCC’s Office of Innovation to be the central point of contact and clearinghouse for requests and information related to innovation. Its staff will conduct outreach and provide technical assistance, and will hold office hours in cities with significant interest in financial innovation to make candid regulatory advice more accessible. The office will promote awareness and training among OCC employees to improve our understanding of these important issues, and lead our collaboration with other regulators, foreign and domestic. While we are still in the process of standing up that office, over time I think those of you in this room will find it a valuable resource. We hope to roll out more information about this office soon. wholesale lines of credit, or direct investment. Others have partnerships that deliver capabilities to banks that complement the portfolio of products and services that they already offer. 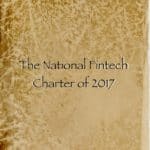 I also want to mention our work regarding federal charters for fintech companies that provide banking products and services. I know some of you have been watching this initiative closely. Since publishing our thoughts in December of last year, we received more than 100 thoughtful comments. I appreciate all of the feedback that we received. We will be issuing charters to fintech companies engaged in the business of banking because it is good for consumers, businesses, and the federal banking system. It also appears to resonate with some of you. The OCC is working to publish a supplement to our existing Licensing Manual that will clarify our approach to evaluating applications from fintech companies. In the meantime, let me address a few of the concerns we’ve heard. 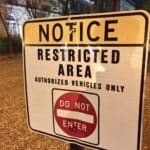 Most fundamentally, some have questioned whether we have the authority to grant charters to such companies and the experience to supervise them. To be clear, the National Bank Act does give the OCC the legal authority to grant national bank charters to companies engaged in the business of banking. That authority includes granting charters to companies that limit their business models to certain aspects of banking, and it is not circumscribed just because a company delivers banking services in new ways with innovative technology. Neither does the law require that a bank take deposits to qualify for a national bank charter. The OCC has been issuing national charters to banks with limited purposes for decades—both insured and uninsured—and they are an important part of the federal banking system. The OCC already supervises banks and service providers, who like you, push the limits of technology to serve customers better. We have experienced examiners who specialize in banking technology, have expert knowledge of payment systems, credit, and consumer protection, and know where companies can face pitfalls. This is an expertise that we nurture through training and recruiting talented people with specialized skills and backgrounds. Complementing our examiners are lawyers, policy experts, IT specialists, and economists. So whether it’s an issue of law, appropriate governance, or a complex question of modeling risks, the OCC has the resources to meet the challenge. The resources supporting the supervision and function of the federal banking system are unmatched. The second misperception I want to dispel is the notion that receiving a national bank charter is a ticket to light-touch supervision. That is not the case. On the contrary, all national banks get regular on-site supervision by trained, highly professional examiners who assess whether the company is operating in a safe and sound manner and complying with laws that protect the consumer and make the system safer for everyone. 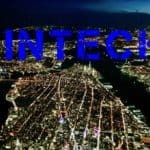 It also means that laws that apply uniquely to national banks would also apply to the newly chartered fintech that becomes a national bank. It also means appropriate capital and liquidity standards. address anti-discrimination, fair lending, debt collection, taxation, zoning, crime, and torts, generally apply to national banks and will also apply to fintech companies that become national banks. 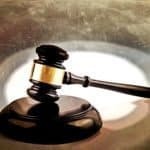 In addition, other federal laws that apply to national banks contain extensive protections for consumers, including the Federal Trade Commission Act, which outlaws unfair or deceptive acts or practices. Furthermore, the OCC has adopted the position that state UDAP laws apply to national banks. All of these important consumer protections and laws will apply to fintech companies that become national banks. 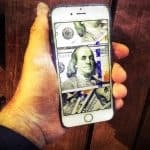 Another misperception suggests chartering fintech companies will allow predatory lending and abusive practices to creep into the federal banking system. First, the OCC shares concerns about predatory lending and has taken significant steps to eliminate abusive practices in the federal banking system. The OCC will not approve charter proposals from any company that plans to offer financial products and services with predatory or abusive features. Second, it is important to remember that state banks have the same power as national banks to export the usury laws in their home state. Congress granted this power to state banks in 1980. It’s the OCC’s statutory mission to make sure that the banks that make up the federal banking system provide fair access and fair treatment to customers—that includes individuals and small businesses. We expect fintech applicants for national bank charters to include in their business plans a description of how they will support the needs of the communities they serve and promote financial inclusion as a federally chartered institution. activities, interfere with the allocation of credit, and foster anti-competitive effects and undesirable concentrations of economic power. Proposals that would mix banking and commerce are inconsistent with the OCC’s chartering standards and would not be approved. I don’t say these things to scare off companies that may be thinking about a national charter. Instead, it is precisely these high standards and the rigorous, value-added supervision by the OCC that makes becoming a national bank attractive for those who meet these expectations. There is great value in a federal charter, but it’s not for everyone. Again, it is great to be with you and to share the energy in this building. Your passion for delivering better products and services will help you succeed. And, it’s the passion around serving people better that encourages me as a life-long regulator. I hope you will take the time to read our upcoming supplement to our Licensing Manual when it is published and take advantage of the opportunities to interact with our Office of Innovation as they become available. I’d be happy to answer a few questions. 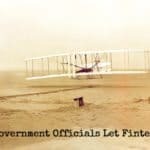 This entry was posted in Featured Headlines, Fintech, Opinion, Politics, Legal & Regulation and tagged lendit, occ fintech charter, office of the comptroller of the currency, thomas curry. Bookmark the permalink.